Shawnel Resorts South East Asia Package Tour to Bangkok. BANGKOK – A CITY OF DELIGHT FOR TOURISTS. Bangkok is the capital of Thailand It is one of Asia's most cosmopolitan cities with magnificent temples and palaces, authentic canals, busy markets and a vibrant nightlife that has something for everyone. Bangkok is considered to be one of the world's tourist hotspots. Bangkok is Thailand's major tourist gateway, which means that the majority of foreign tourists arrive in Bangkok. The city boasts some of the country's most visited historical venues such as the Grand Palace, Wat Pho, and Wat Arun. There are numerous projects to maintain Bangkok's historic sites in the Rattanakosin area and river districts. Bangkok Metropolis is Thailand’s capital serving as the center of development and modernity in industry, commerce, economy, and transport. In addition to its unique culture and exquisite architecture, this city is full of magnificence and charm and can attract tourists to explore traditions, cultures, archeological sites, food and ways of living of its inhabitants. Bangkok's nightlife has a reputation for being wild and rowdy. But at the same time it's relaxed, safe, enjoyable and great fun! Rapidly establishing itself as Asia's capital of cool, Bangkok's diverse nightlife scenes features everything from excellent live music and good jazz clubs to ultra cool bars, trendy clubs and great restaurants - and go far beyond its once-upon-a-time sleazy and naughty image. Healthy Spa’s are a rejuvenating spa treatment in one of Bangkok's luxurious spas or a famous traditional Thai massage offers the perfect antidote after a long day of shopping and sightseeing. Despite being a thriving and bustling metropolis, Bangkok is also a haven for relaxation, rejuvenation and regeneration. Ancient healing knowledge passed down over generations, the exotic and tropical surroundings at the city’s luxurious spas, lots of sunshine and legendary Thai hospitality provide the ideal setting for the continuous pursuit of inner and outer beauty. Shopping is another endless activity you can do in Bangkok. Bangkok's shopping centers are divided into kinds, such as, shopping malls, department stores, markets, and street plazas. You may go shopping anywhere depending on your style. 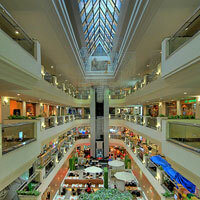 For example, if you like brand products; go to shopping malls like Emporium or Gaysorn Plaza. For budget shoppers, don't even miss markets like Chatuchak Weekend Market, or street plazas like Saphanputh. Fun n Family - The excitement of speeding along the Chao Phraya River in a noisy tail boat, the fascination of watching a snake being milked of its venom or a tuk-tuk ride throug h the city are just a few of the experiences Bangkok has to offer both kids and adults. Getting around the city is easy too with the Sky train or underground. Bangkok offers enough food choices to please even the pickiest four-year old, including their favorite fast-food chain. Dining Out - You will find eating places almost anywhere in Bangkok; outside shopping malls, inside markets, along the pavement or anywhere a cart and a few fold-up tables and chairs can be placed. Don't miss out on these places as they offer cheap and tasty food you won't find in normal tourist restaurants. 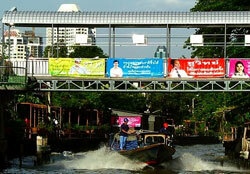 Venice of Bangkok - Bangkok's waterways are well worth taking a few hours to explore. And there are many ways to do it, ranging from river cruises and klong tours to public river taxis and dinner cruises. Visit the historical venues like the Grand Palace, Wat Pho, and Wat Arun. 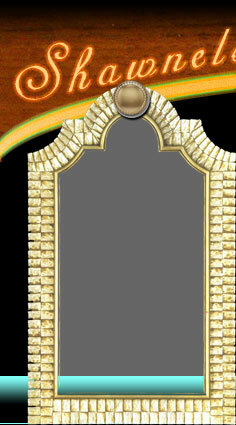 You can also spend an evening in one of the dazzling night clubs which are popular here. Bangkok Tours are always our hot selling tours package amongst the South East Asia destinations. 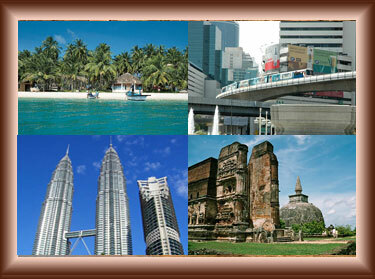 Our Travel Consultant who has visited Bangkok personally will suggest you and guide you to the best of Bangkok.